Includes routes in: Bishop, Tramway, Tuolumne Meadows, Black Mountain, Joshua Tree, Castle Rock, Pinnacles, Santee Boulders, Mission Gorge, San Francisco and Hueco Tanks. Over 5000 free routes in California. 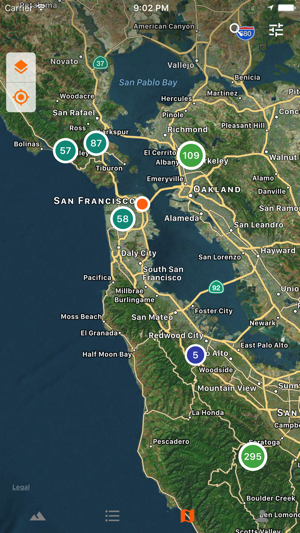 For now, all routes available in the app are in California, Texas, Colorado and Virginia. However, I hope with your help this will change soon. Search • discover routes by name, type, grade, or location. 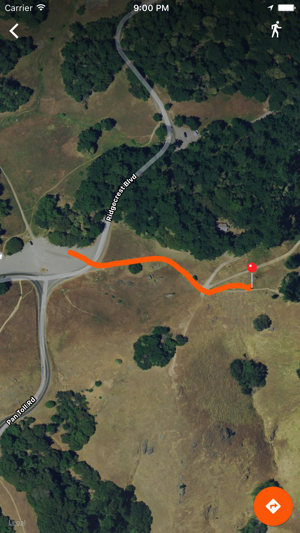 Directions • navigate to outdoor rock climbing destinations. Trail navigation • never get lost again with map trail tracking. Offline mode • access main features of the app with no internet by downloading routes. Contributions • add new routes by taking a photo and help out the climbing community. Consistency • all routes include a picture and gps location. An overwhelming majority include a climbing topo. 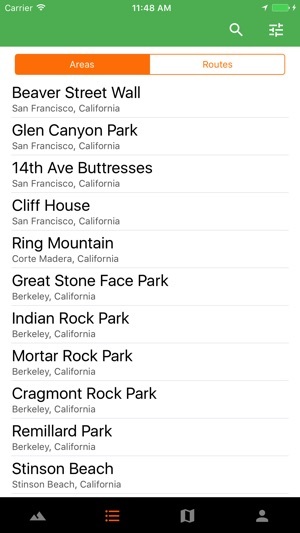 Climbing ticklist • track your progress by marking routes as climbed. Rock climbing guide includes bouldering, sport, and trad climbing. 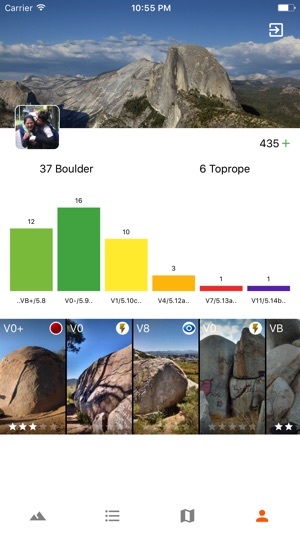 By using this app you acknowledge that climbing is an inherently dangerous activity, which can result in serious injury, permanent disability or even death. 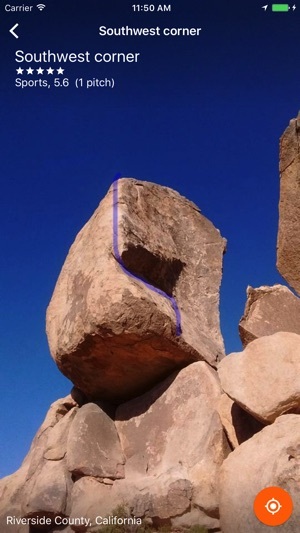 You should not participate in rock climbing without training and proper supervision by professional climbers. You should also never climb in areas you are not familiar with or without proper equipment. You assume full responsibility for the consequences of your actions while rock climbing. This app makes no claims as to accuracy of the data provided and Michal Dobaczewski shall not be liable for any damages, losses, expenses, costs, liabilities, injury or death resulting from use of this app. I love the idea of the app however I cannot save the routes to my phone because I do not have a Facebook account. Also the search bar to lookup a route doesn't seem to work. Hay, Thanks so much for the review. I did extensive testing of the search bar and am unable to find a problem, if you could you send me a bit more details about the problem to myfirstascent@gmail.com so that I can address the issue I would greatly appreciate it. Screenshot would help a lot! We are planning to add different login options, for now you could create a blank account with Facebook just to get login credentials. Nice looking app and I would like to use it but I do not have Facebook so I cannot create an account. So stoked! It is so fluid to search for climbing spots in your area, and add new ones as well! I am so pleased with how this app came together.